At the upcoming LEAP-Show in Shenzhen (Electronics Manufacturing Automation Expo) ViscoTec Greater China and the UV equipment manufacturer Hoenle will appear together with Panacol. At the booth, live dispensing will take place with the microdispensers of the ViscoTec brand preeflow. Following the dispensing, UV curing and leakage tests will also be shown. 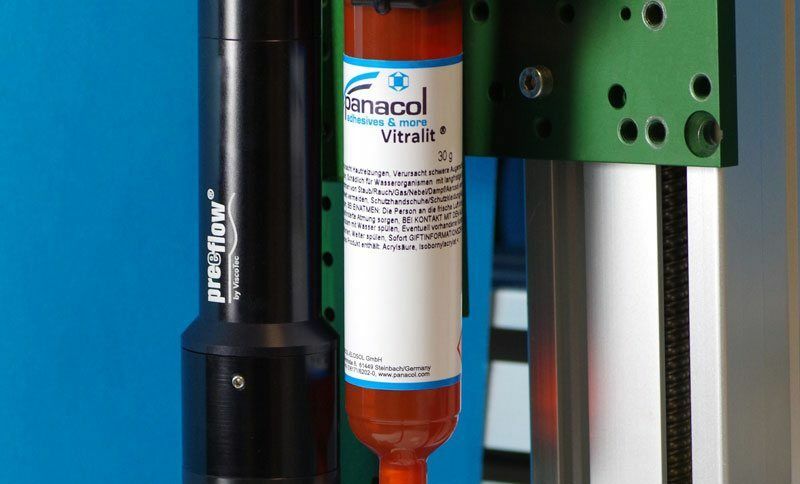 Panacol Vitralit® adhesive with preeflow dispensing technology. In order to be perfectly prepared for the exhibition, dispensing tests with the following materials have just been carried out: Structalit® 8838, Vitralit® FIPG 60102, Vitralit® UV 4802 – with the eco-PEN450 preeflow dispenser and the associated eco-CONTROL EC200-K control unit. The material supply with Vitralit® FIPG 60102 can be seen live at the trade fair: It is a one-component, solvent-free and UV-curing adhesive. The advantages are very short curing times and good adhesive strength on many substrates (e.g. metal, glass, ceramics, plastics). These materials are used in electronics, medical technology, optics and in general for fixing components. 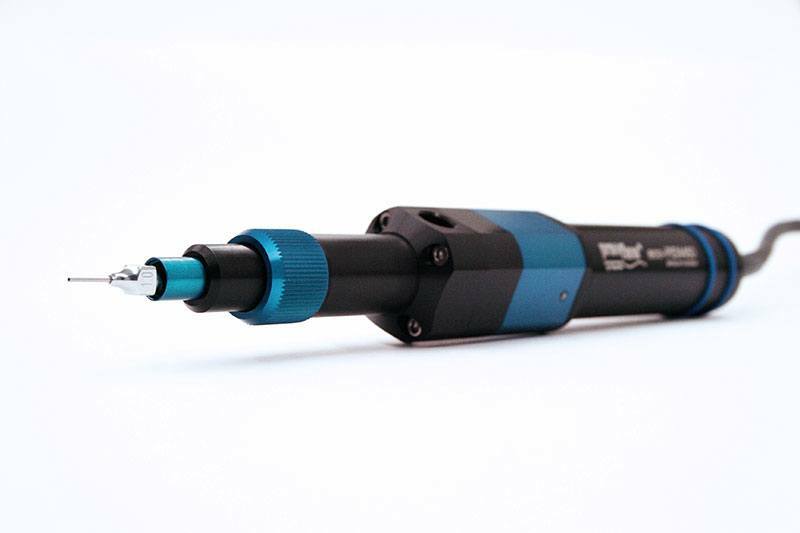 The preeflow microdispenser eco-PEN450 can be seen at the LEAP exhibition. Vitralit® FIPG 60102 is a “form in place gasket” material that can be cured with long-wave UV light. When cured, it shows high flexibility and particularly high ductility. Dispensing at the trade fair is done on glass. The bead application is then cured with UV light and finally sealed. See the high-precision microdispensing technology from ViscoTec, the Hönle UV equipment and the highly viscous Panacol solutions for medical technology and electronics assembly.